We were walking along Chauseestrasse in Mitte when a new sign called our attention. It said: TIN TAN MEXICAN STREET CULTURE. We were immediately excited and intrigued. 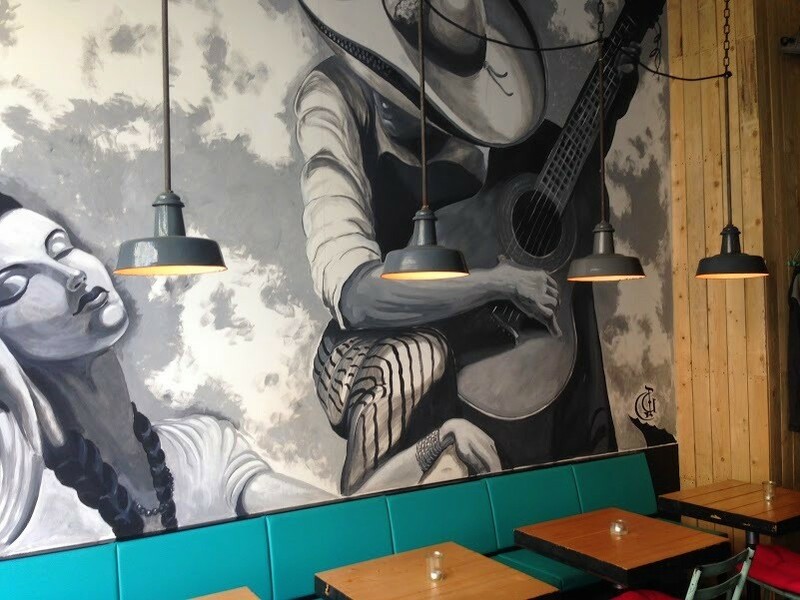 Good Mexican food is not something easily found in Berlin. Upon closer examination we realized these guys really meant business. 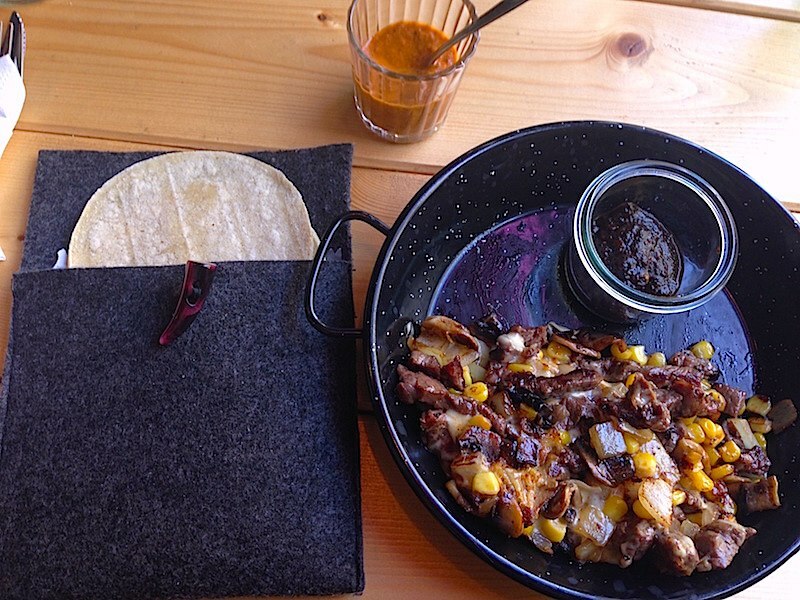 The menu is built around three staples of Mexican street food: tacos, alambres (mix of veggies, meat and spices on a small pan) and quesos fundidos (basically an alambre with cheese). Simply pick a “melt in your mouth” filling like cochinita, suadero, poblano, campechano, ranchero or another and choose how you want to have it (either on a soft taco, alambre or queso fundido). We have tried a few different combinations, but always end up going for the cochinita soft tacos (corn tortillas are prepared on site and served fresh) or the Alambre Ranchero (order it with cheese and a side of black beans). Also, make sure to order extra cilantro, lime and hot sauce otherwise it can get relatively uninteresting. By the way, they have a homemade hot sauce that reminds us of the hot sauces you can find on street food joints in Mexico City. Order a Mexican or local beer and finish with some mezcal sourced from local independent distilleries if you’re inspired. The dessert menu is limited but that shouldn’t stop you from enjoying TinTan. Tin Tan is named after a famous Mexican actor/singer/comedian. The atmosphere is cozy, very casual and friendly, as it should be. There’s plenty of room inside and also a very pleasant terrace in the back that is open during the warmer months. In fact, this place is great for an early evening quick bite and beer if you happen to be in the area. What we like to order at TIN TAN: Cochinita Tacos. Order extra cilantro, lime and homemade hot sauce.